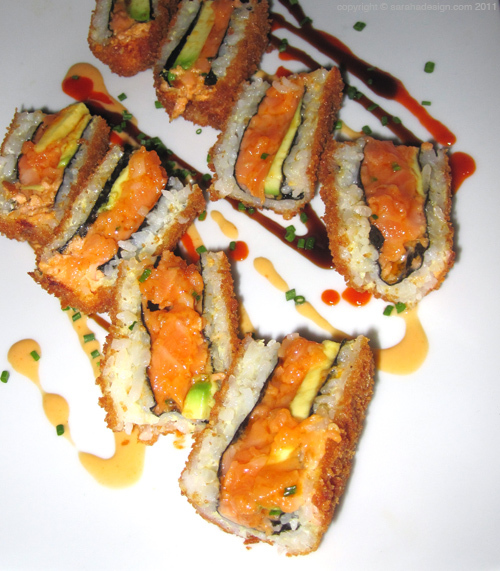 A "Beverly Hills Roll" at La Seine in, where else, Beverly Hills, CA. (Chef from "Top Chef.") First time I've had sushi cut in that way! We went with the family for my husband's birthday. The main dishes we ordered were also really delicious - some of the dishes included veal, lamb, steak and a chicken pasta dish. No pictures because my camera battery decided to run out right before the dishes were served.